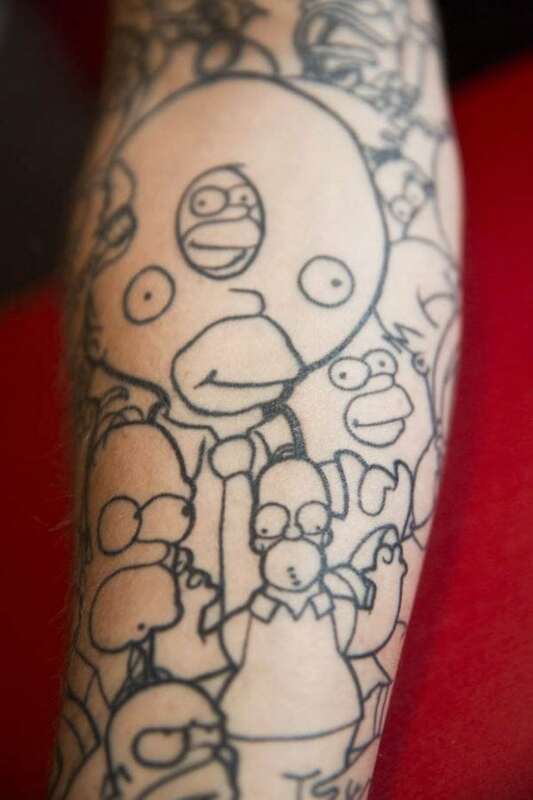 A Simpsons superfan is trying to set a new world record after getting Homer tattooed on his arm – 52 TIMES. Restaurant manager Ricky Viner, 32, fell in love with the cartoon series as a child and said he saw Homer as a “father figure”. “I instantly fell in love with the programme when I saw it aged eight. 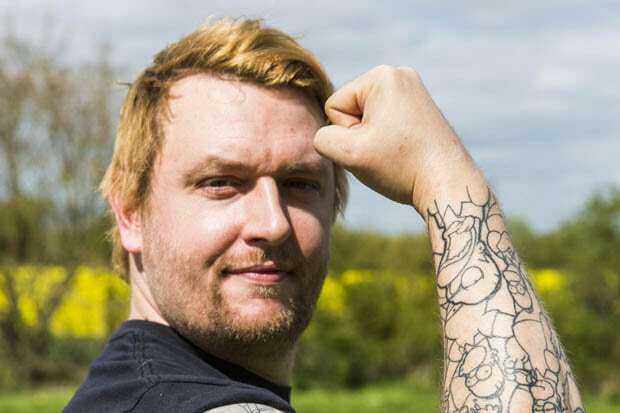 “I was getting a tattoo of an anime character done on my arm when a conversation about world records arose with my tattooist. 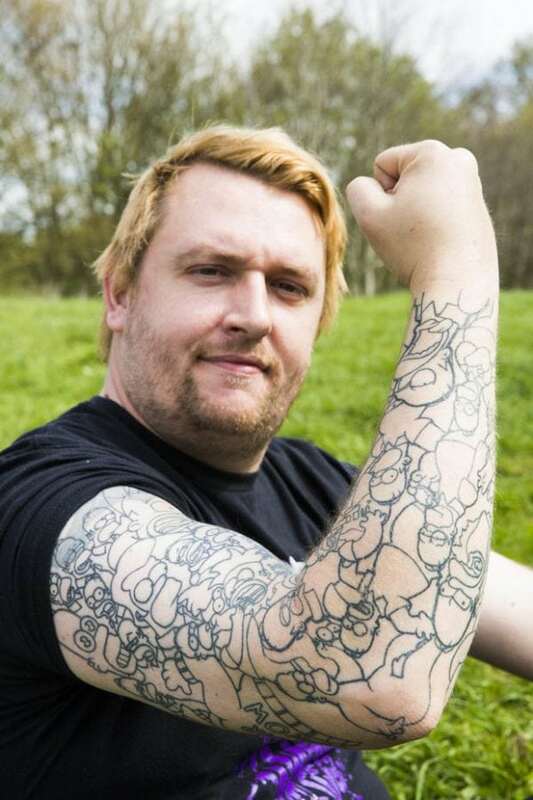 “We talked about the bloke who holds the current world record for the most cartoon characters tattooed on his body and that’s when we came up with the idea of having a crack at a new record. 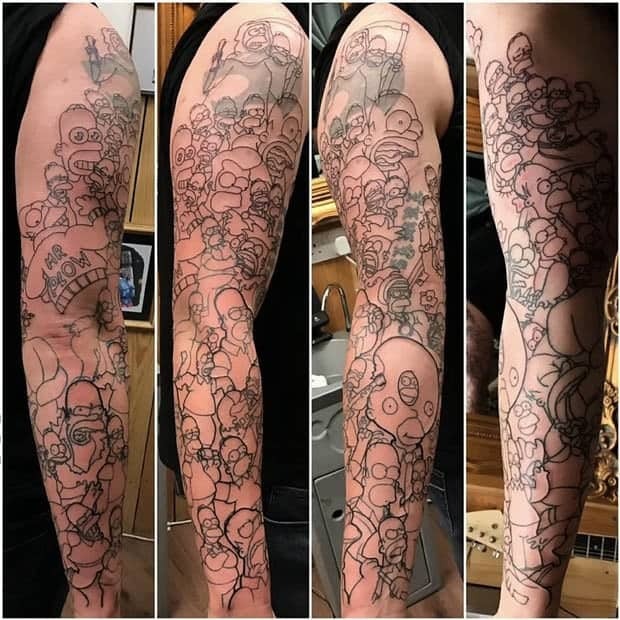 “Some of the outlines really hurt – especially the ones on the crease where my bicep meets my forearm – it was remarkably painful. Previous PostWatch – IDIOT Driver misses motorway junction…so reverses to make it!